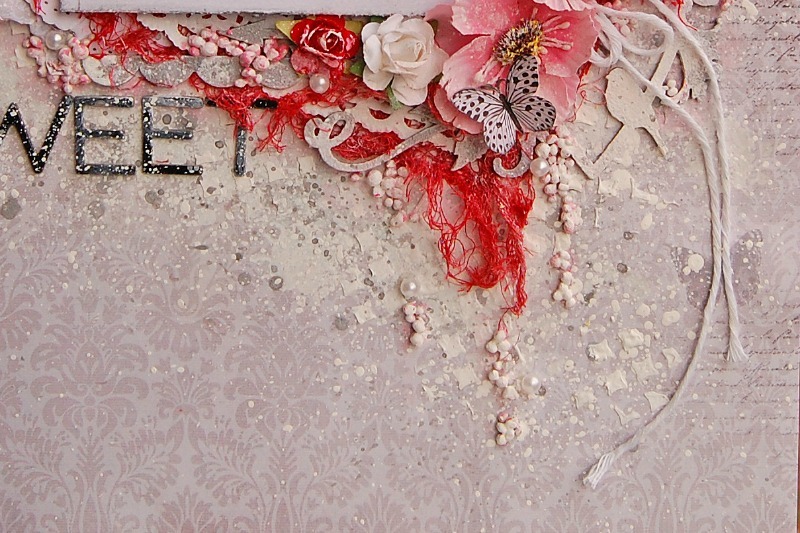 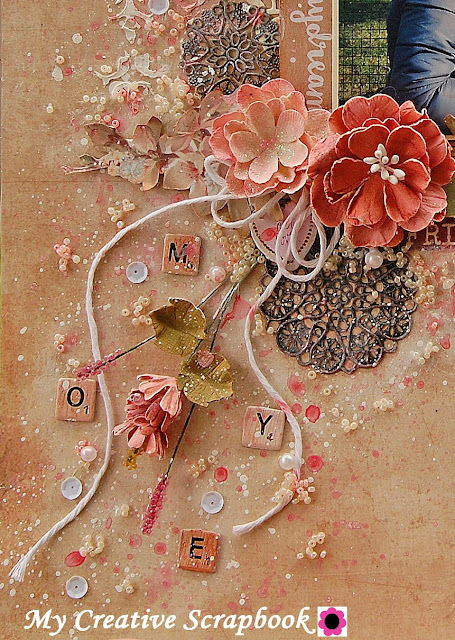 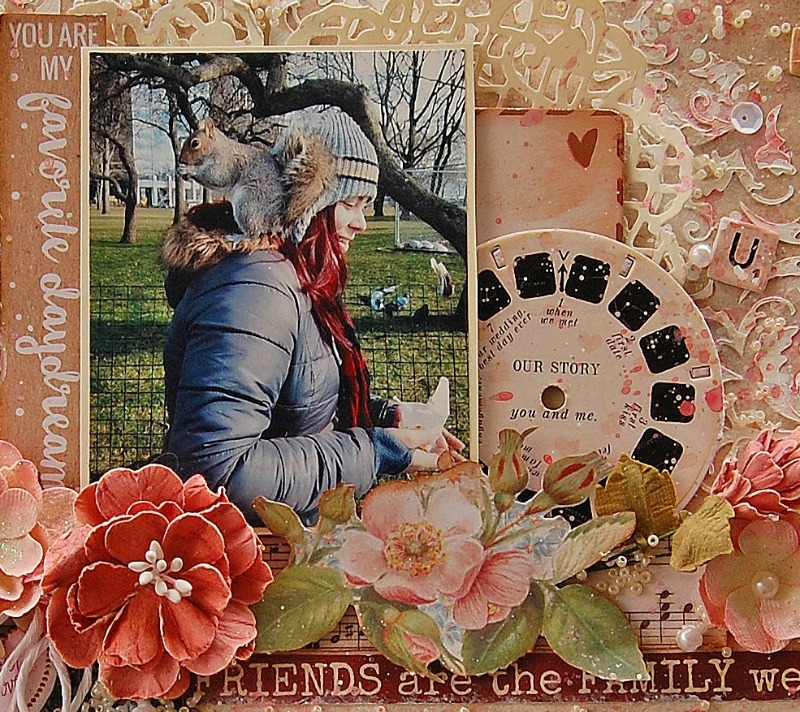 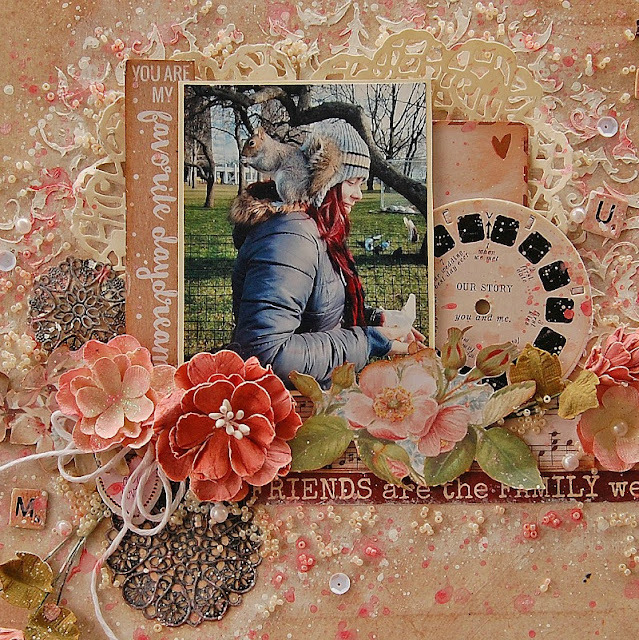 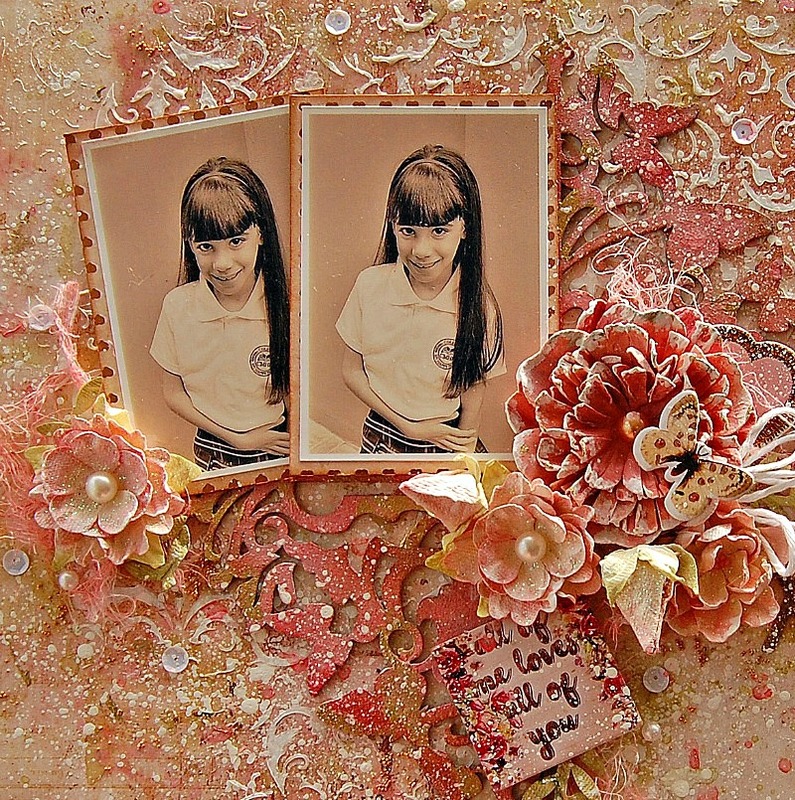 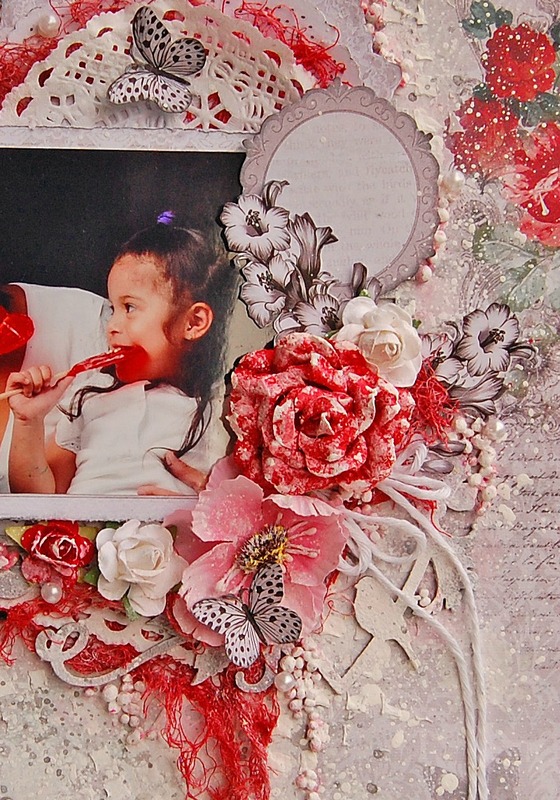 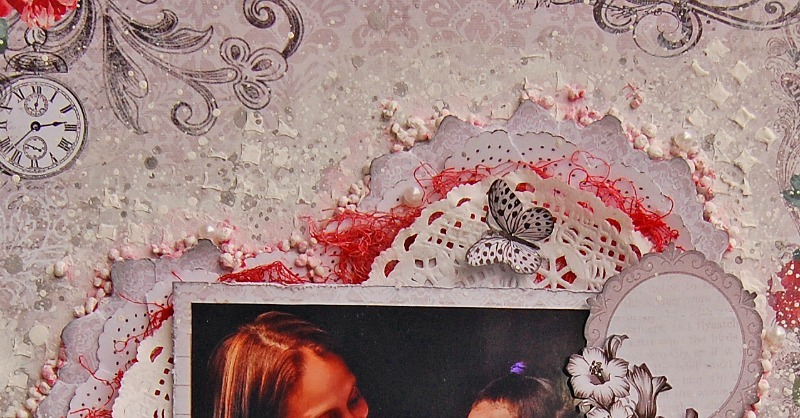 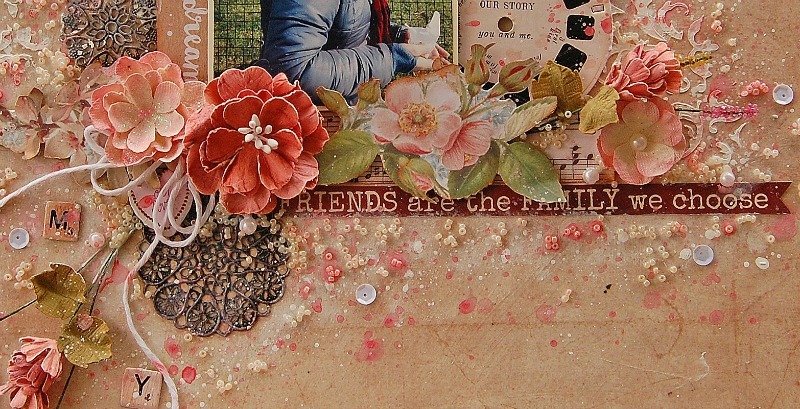 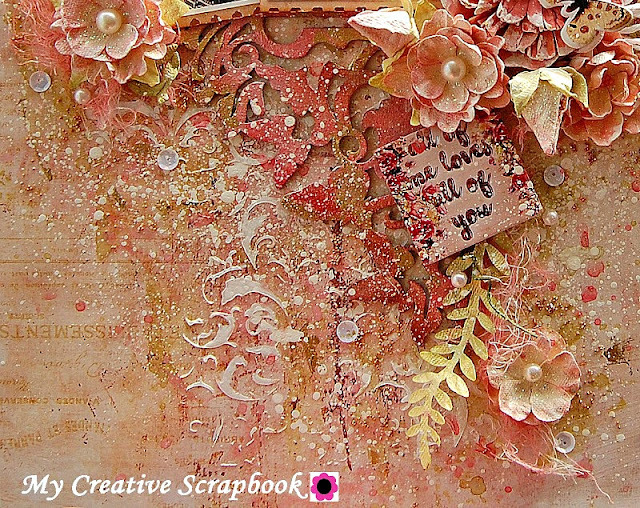 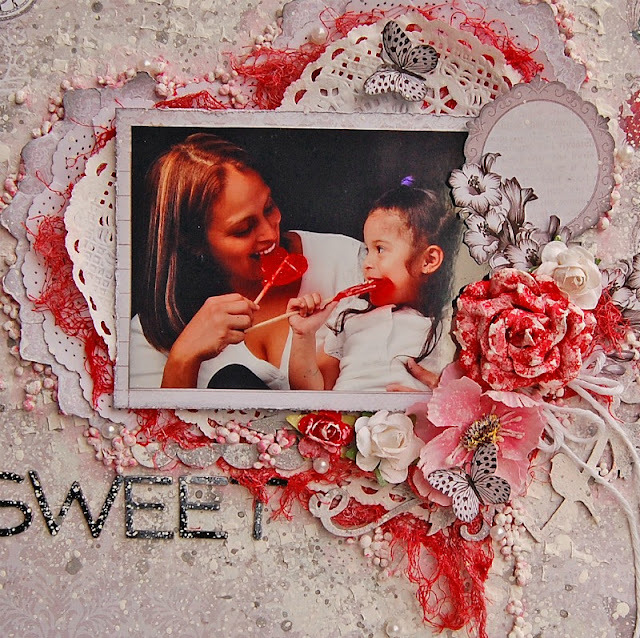 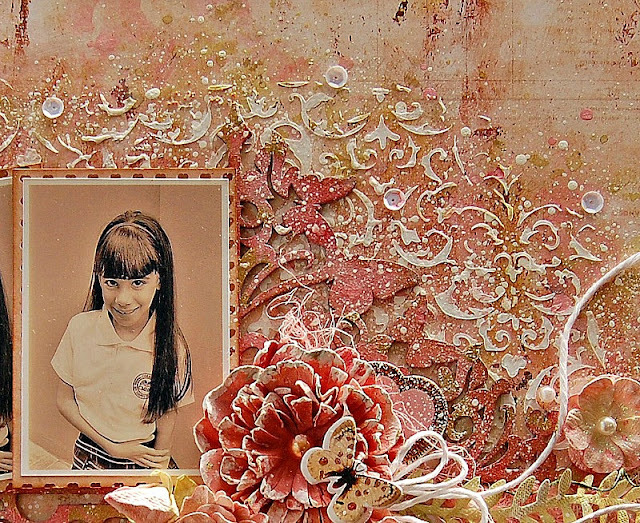 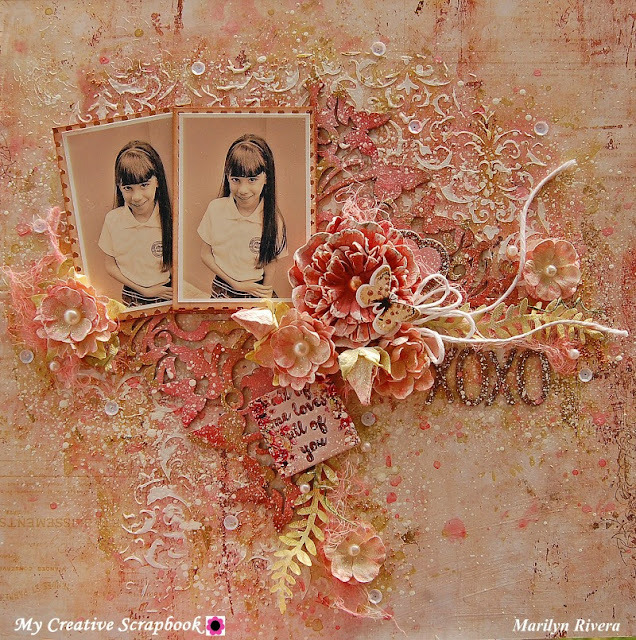 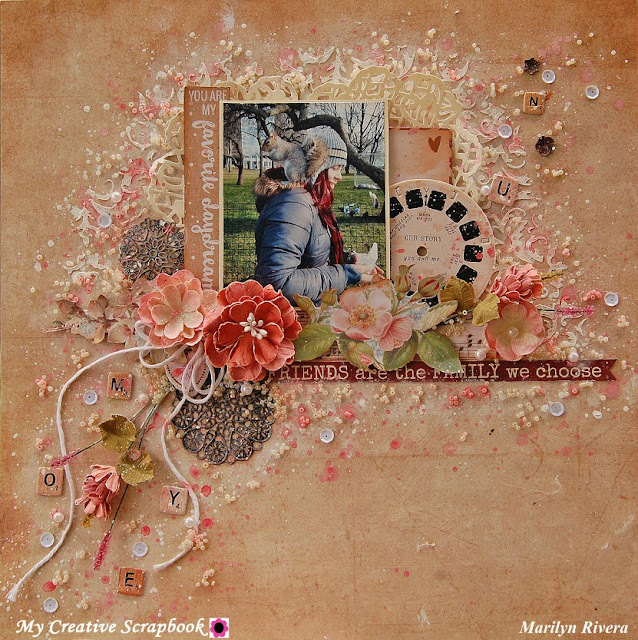 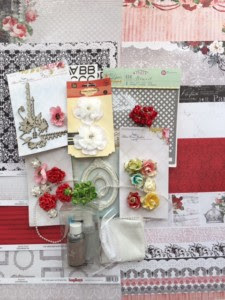 I made this page about my lovely niece Azalia and her squirrel's friend with the Cherry Tree Lane papers by Kaisercraft that I combined with the flowers and embellishments from the kit. 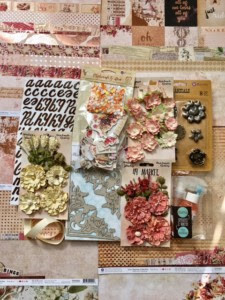 I made a video tutorial of all the creative process . 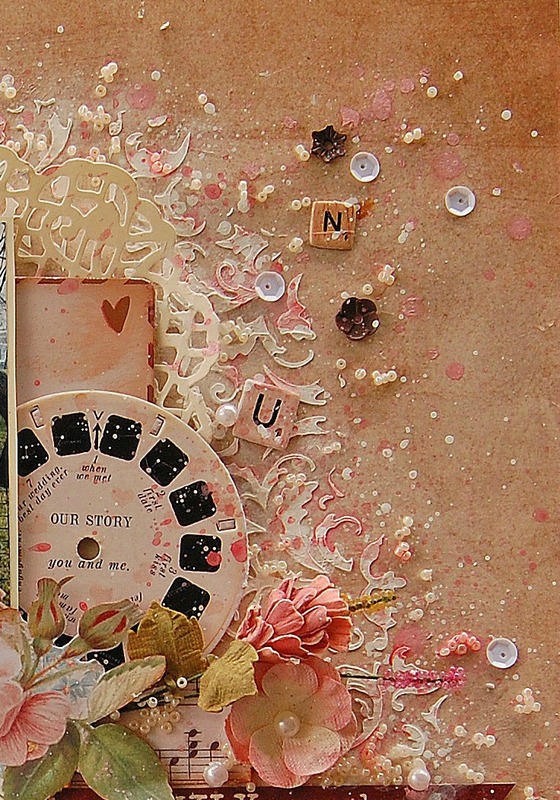 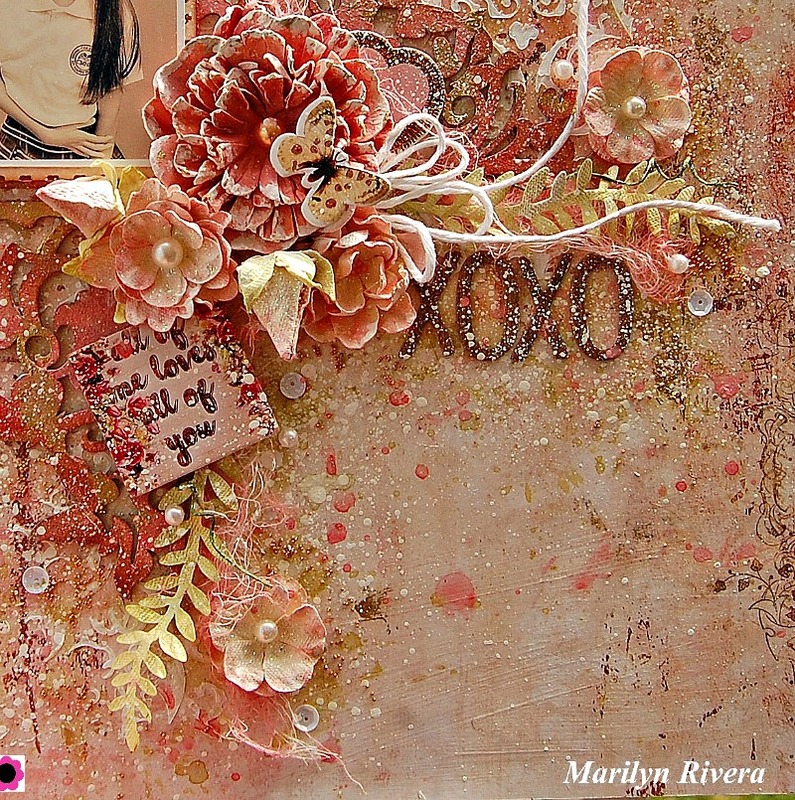 I placed the chipboard around the photo and put the title under the 49 and market flowers.